Thirty feet is a long way down for sure. but it appears that over all, Mabel the St. Bernard will be no worse for the wear following her plummet. 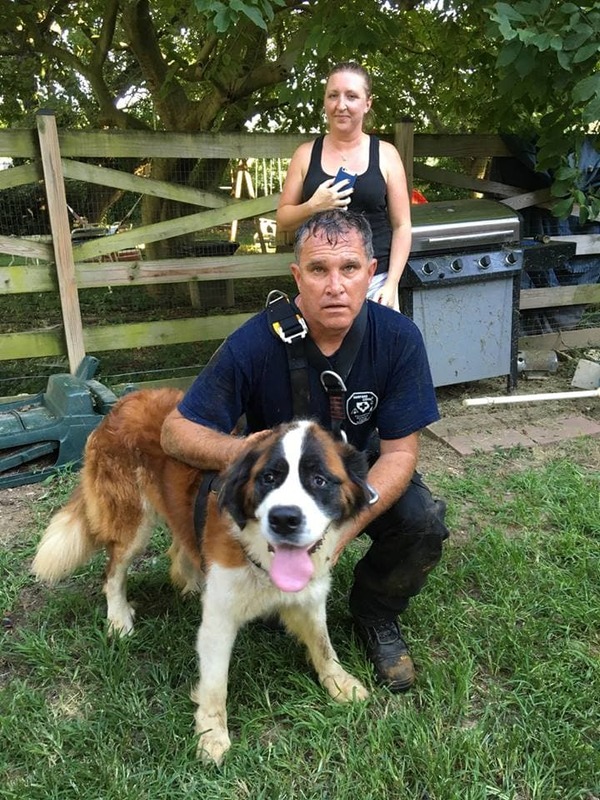 Lucky for the dog and her owner, aid came running in the form of the Aberdeen Fire Department and Harford County Technical Rescue Team, which classified the conundrum as a “confined space incident” on its Facebook page. The dry well, located in Perryman, MD, was indeed a tight space that required a bit of “sciencing” in order to remove the dog safely. 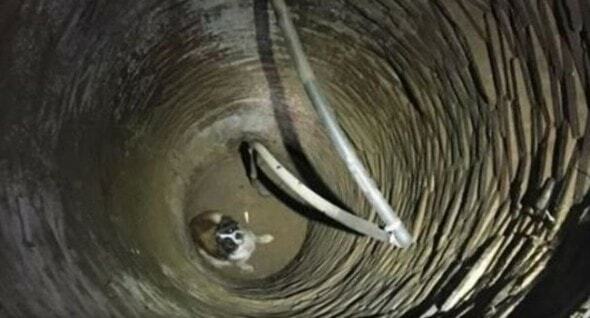 According to reports, Mabel was so delighted to be free from her sub-basement hole, she was seen running in circles once back at ground level. Crews managed to snap a pic of the sweet-faced pup and her owner (seen here with Chief Dan Lemmon from the Harford Co.Technical Rescue Team) before she was taken to a vet to be checked out. All those at the scene, however, said she appeared to be doing just fine. LWD sends a loving shout-out to all those involved in this happy ending! Bite Beauty Astrology Lip Set | No Words. Tsubaki Beauty Oil – Tips And Tricks!